We're still updating pages and making videos. We hope you are enjoying all that CNM has to offer. "“Never be afraid to trust an unknown future to a known God." In Thee our fathers trusted; they trusted, and Thou didst deliver them. To Thee they cried out, and were delivered; in Thee they trusted, and were not disappointed. "TRUST IN THE LORD IS THE CURE FOR A FEARFUL SPIRIT." and the man who gains ________ ." YO and draw through all 3 lps. Place a ball of yarn in a bowl or bucket to keep it from rolling away from you as you crochet. This is cute, but how do you keep the Schnauzer's fur from getting tangled into knots under the arm pits? I crochet a lot of sweaters for my Schnauzer and have learned the hard way, that anything that goes over the legs and can rub will res...ult in knots. My dog isn't fond of having the knots combed out. I was just curious. The shrug is cute, but I woulod probably not make it because I don't want my dog's fur to knot up. He doesn't wear it a lot... but I've found that I can keep his arm pits from knotting up if I cut that hair shorter than the rest. How many men/boys do you think crotchet? 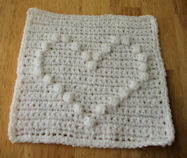 I learned to crotchet and knit from my next door neighbor who is long gone now about 30 years ago. I just started back crotcheting after a few years away from it and I have always preferred it to knitting. When I learned the crafts my neighbor told me she knew of quite a few men that crotcheted/knitted. Of course I think it is a relaxing hobby. So glad you’ve picked up your hook again! help them relax. I think more men crochet than many may think. One of which is "the crochet dude", Mr. Drew Emborsky. He has some wonderful patterns and crochet accessories. What those instructions refer to as a “stem”... I call a “post”. Hello, I really enjoy this web site and I love all of the free patterns. I taught myself to crochet using some of these patterns(the easy ones) and I keep coming back. Thanks for all of the great patterns and also the links to other sites. 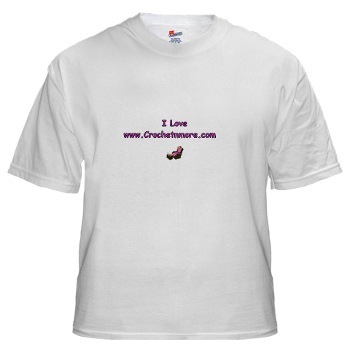 Love seeing all the facebook shares, and checked out your site. Very nice patterns here, and I love the ones of the dogs. 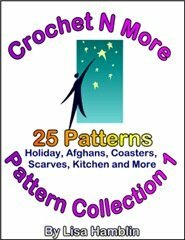 Thank you so much for your wonderful free patterns. Being on disability it is so nice to be able to afford to try new patterns as gifts for family and friends. Also, I was wanting to link some of your projects to my Pinterest board but I can't seem to get the images to load so they can see how beautiful they are. It does link back to your page. I think this would be a great way to get more traffic to your pages. Thanks again! I’m so glad you enjoy Crochnmore. I’m not sure why the pages don’t “pin” correctly. Which page were you looking at? pin away just to promote myself so I didn’t pin much. I have been working on this for days and I am doing something wrong on the sides. as row 3. Can you help me? Thanks! I found your site recently and I think it is great, I cannot afford to buy wool and patterns very often so it is good I can get patterns for free, I also enjoy knitting and crocheting for charity. WHAT DOES "hk" MEAN IN THIS PATTERN? hk is hook... just one of my personal abbreviations that I listed by accident. Note: I have changed "hk" to hook on the pattern page. shown for the USA . Yes, my patterns contain US terms. I am trying to do the bible cover and do have a problem on round 22 as well as the reverse stiches. Appreciate your help. Thank you for your efforts in providing these beautiful patterns. You’re very welcome Abi... hope I can clear this up for you. Then work one single crochet in each unworked loop along the foundation chain. on the next side... then join with a slip stitch in the first single crochet on Round 21. Now chain 1 and do not turn. your two single crochet stitches around the post of each double crochet along the row ends. you worked each stitch along the foundation chain. I have enjoyed your patterns online. So pretty. I bought crochet cotton and steel hooks. I wanted to make crocheted cross bookmarks for my church to give out in times of trouble. However I just cannot crochet! I tried repeatedly. Do you know of a knit pattern for a knit cross bookmark? I looked on line and cant find anything but lace bookmarks. I want a cross bookmark. Any help would be so appreciated. Good morning, I saw these two earlier but didnt think they were pretty enough. I have been playing with the crochet cotton and number two knitting needles and that feels right so far. I will pay for a knit pattern as long as I can make knitted cross bookmarks for the church with it. didn’t realize how scarce those are. If I ever get good at designing knit patterns I’ll try one. Lisa! What a find! I will order one today. Thanks a zillion. I wrote her to see if I can knit some for church. I cant believe you remembered to look for me. If you see anymore, let me know. Would you show us how to find the center pull thread in a new skein of yarn? Sometimes I get go aggravated trying to find that thread and wreck the skein in the process. I prefer to use my thread from the center of the skein but sometimes it isn't worth the hassle!! thank you so much for this one, Lisa! I have had a real problem using center-pull skeins after I get about 3/4 of the way through the project.﻿ The yarn tends to tie itself into knots, Now all I have to do is pause long enough to wind the yarn into a center-pull ball when the skein gets to that point. thanks bunches! My name is Petro and I am a Senior Citizen, writing to you from South Africa –at the moment it is winter in our Country and really- really very cold!!! I wonder if I could PLEASE ask you to help me look/find a VERY (OLD FASHIONED) pattern for a LACEY CROCHET SHRUG/BEDJACKET. The specific pattern I am looking for is very plain type pattern – it is a square crochet piece which is then folded over and sewn under the arms (I think) – I did find a bolero and also a crochet shrug pattern which is done like this – but both is just in a plain crochet pattern. The one I saw (when visiting someone in hospital) was done in a shell pattern –(used as a bedjacket) done in a square- then folded over and then sewn together under the arms BUT it looks like they then went back and crochet an extra frill, also in shell stitch - around the entire square which then forms a wider fold- over collar piece and then obviously also extends the length of the jacket. The sleeve part also has this extra wide frill crocheted on afterwards which then forms like a bell-type wide frilly sleeve – TOOO BEAUTIFUL!!!!! PLEASE IF ANYONE CAN HELP ME WITH A PATTERN LIKE THIS – I WOULD BE OVER THE MOON. Aww, I'll HAVE to make this for my Ashton Drake baby! TY! I've made several of these. I even adjusted the pattern for my brother-in-law who wanted one for himself. Just measure the circumference of the person's head and divide by two to get the starting width, and measure from the forhead (about the middle) up and over to the back of the neck to get the length before folding up to sew. With this formula, you can make it for anyone! I am looking for a free pattern for a "teddy bed". It is a net that is hung in the corner of the room to hold teddy bears and other stuffed animals. 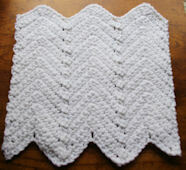 I had a pattern many yrs ago that I made for my daughters now I need one to make for my granddaughters. Please help me if you can. Thank you. I found that they are no longer called "teddy beds" when I started my search. Don't be afraid to try different types of materials. I've crocheted with regular yarn, specialty yarns, fabric, embroidery floss, thread, & rope to name a few. You can create very interesting items when you change the material used in a project. Besides regular and specialty yarn... I've crocheted little delicate thread butterflies. Made crocheted (and knitted) beaded rope necklaces. 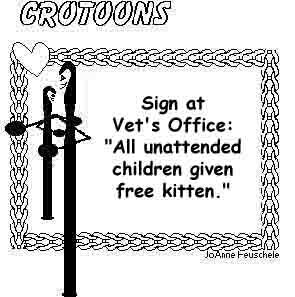 I've even crocheted with wire. It makes an interesting bracelet. Cut plastic grocery sacks into loops. Join them together (kind of tie them). Wind up a bunch of them to create a ball. Crochet away! There's a Utube video out ther somewhere! Walli: I actually have a page on how to prepare the bags... I'll post it for everyone to see. For motivation while working on a large project, mark the first stitch each day so you can see how much you've accomplished. This actually motivates me to see just how much I can do each day. 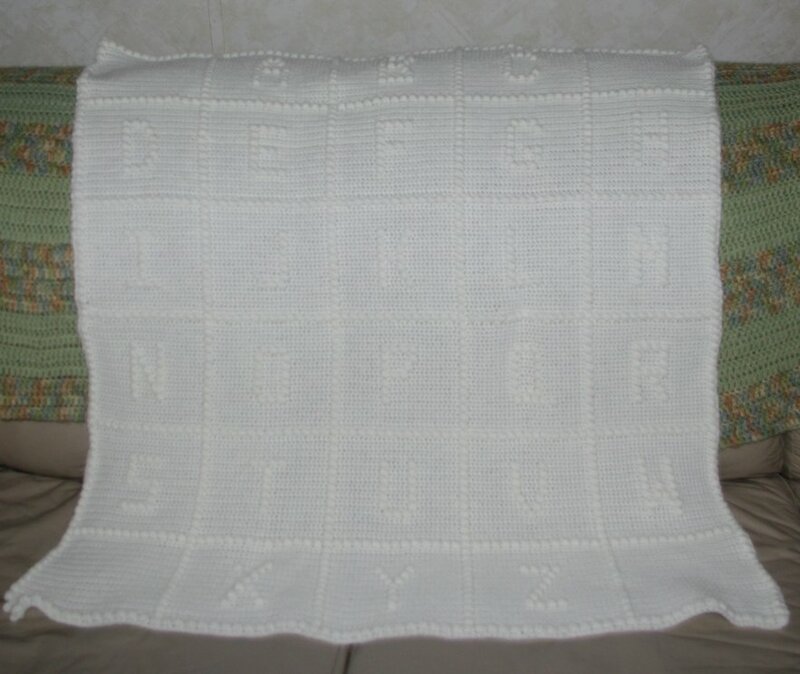 One of the many Baby's ABC's Afghans I've made. I haven't made this one yet, but it's on my to do list. Have made this for several baby showers. It's always a hit. Not hard to do. One I made I made the letters in pink and the other puff stitch blocks in blue. Took a while, but was very pretty. I've made more of these than I can remember. I'm working on one now in multiple colors... I'll post a picture when I finish. 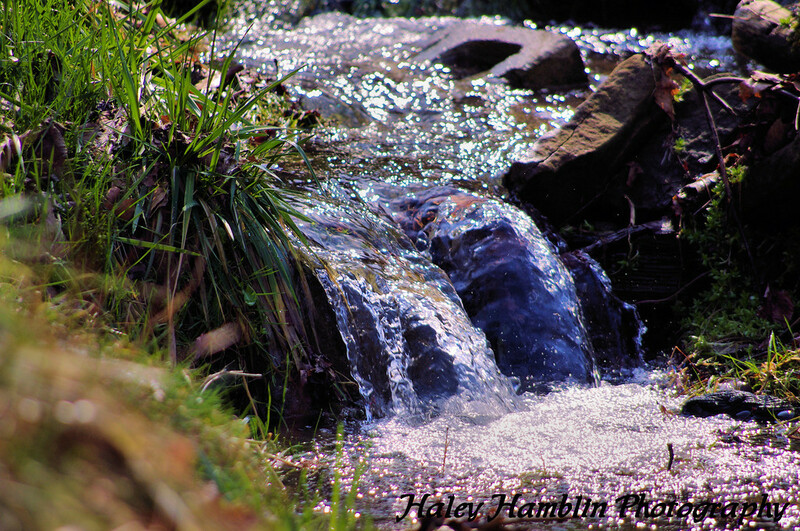 Wish I had a pictrue of the one I did. 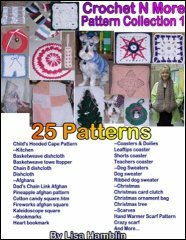 I've added written tips to the pattern page for this afghan and included a video link explaining how to read the graph. This has been on my todo list for so long :/ I really need to make one! I made one in yellow for my baby 4 years ago and she hates it. I feel so bad. I'm saving it for one of her kids. I just realized I can contribute a crochet tip! I am going to start making dolls to hand out for Christmas next year . There a lot of names of children on the giving tree . We also make up boxes for shoe box ministries . That's a great idea Kathy Huff! protector and use a dry erase marker to mark off the rows completed. I use a gallon zip lock bag! yep i do that. plus they clip right back in notebook for easy keeping. You're welcome Lori... I thought it was cute! to read what viewers are saying about our patterns and videos. The trainer replied, “Use the ATM outside the gym!!!" ~ Blood flows down one leg and up the other. ~ Respiration is composed of two acts, first inspiration, and then expectoration. ~ Mushrooms always grow in damp places so they look like umbrellas. Dad's pager went off, summoning him to the hospital, where he is an anesthetist. out the window to signal that he was on an emergency call. "Oh my goodness! I think left the iron on." And almost every year we would turn around and go back. possessions would disappear in a fire caused by her forgetfulness. sure enough, Mom gasped, "I just know I left the iron on. " the trunk and handed her the iron. Employee: Well, sir, as you know, I have been an employee of this prestigious firm for over ten years. a ten percent raise and an extra five days of vacation time. How does that sound? Employee: Oh, the Electric Company, the Gas Company, the Water Company, and the Mortgage Company! Two men went fishing. One man was an experienced fisherman, the other wasn't. Every time the experienced fisherman caught a big fish, he put it in his ice chest to keep it fresh. Whenever the inexperienced fisherman caught a big fish, he threw it back. The experienced fisherman watched this go on all day and finally got tired of seeing this man waste good fish. "Why do you keep throwing back all the big fish you catch?" he asked. "Do you have any acetylsalicylic acid?" "Do you mean aspirin?" asks the pharmacist. "That's it! I can never remember that word!" John got yet another one of those calls. "My brakes went out," Jill said. "Can you come and get me?" One Sunday he announced, "Now, before we pass the collection plate, I would like to request that the person who stole the chickens from Farmer Condill's henhouse please refrain from giving any money to the Lord. The Lord doesn't want money from a thief!" “It wasn’t the noise, Mom,” the boy replied. My husband is a service technician for an exterminating company. night before a service call. This is Garry from the pest-control company -- your wife phoned us." "Honey, someone wants to speak to you about your relatives." Outraged by the high charges that the computer service wanted for repair work, one employee asked her co-worker which service she used. "My sons," was the reply. "They both have degrees in Computer science." "So you get that kind of work done for nothing," the friend marveled. The co-worker smiled. "Actually, I figured that it cost me about $140,000 for my kids to fix my computer for free."